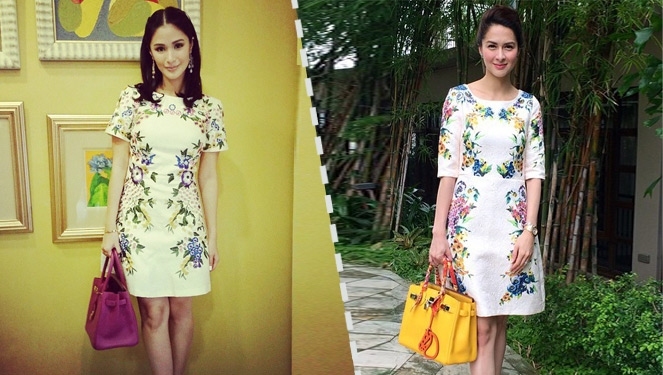 Who Wore Her Dolce And Hermes Combo Better: Marian Rivera Or Heart Evangelista? 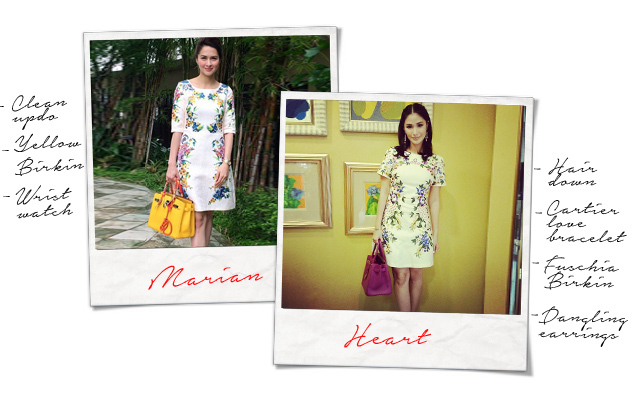 Who Wore Her Dolce And HermÈs Combo Better: Marian Rivera Or Heart Evangelista? Two gorgeous ladies battle it out on this week's fashion showdown. This bright and sunny Monday, two stunning stars both known for their beauty, knack for all things feminine, and happy love life are going head-to-head because of their love for designer labels. 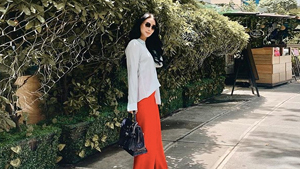 We spotted both Marian Rivera and Heart Evangelista wearing floral Dolce & Gabbana shift dresses paired with their respective Hermès Birkins that literally got us putting them side by side. For a meeting with Michael Cinco, the designer who will be making the wedding gown Marian will be walking down the aisle in, she opted to put her hair up and match the flower power number with her bright and sunny yellow Birkin. Meanwhile, on the same day, Heart posted a snapshot of herself wearing a sweet dress from the same D&G collection before heading to her Saturday show, Star Talk. She styled hers with a pair of dangling earrings, her hair down, a Cartier love bracelet, and her fuchsia Birkin bag. If you’re following both stars on Instagram, we’re pretty sure you’ve noticed this as well. And after you guys chose whose engagement ring you would rather have, this time around, we want to know who you think wore this dainty dress better? 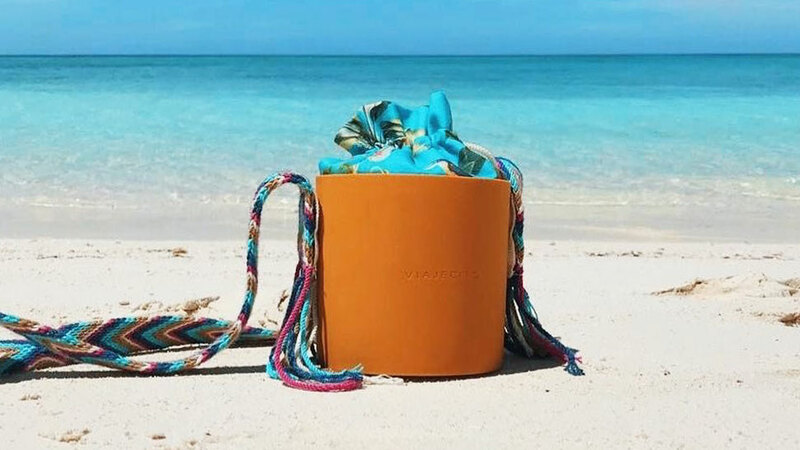 See more celebs toting Hermès bags here. The role always have and always will belong to Angel Locsin. 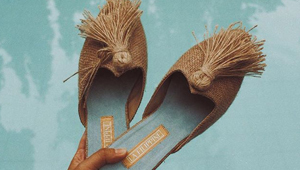 It's Nadine Lustre's time to shine! The photo posted by Erik Matti looks like Liza Soberano! Jessy Mendiola will look smokin' hot in that costume!